It's Meet the Doctor Monday! Dr. Jared has been married to his wife, Kali, for six years. 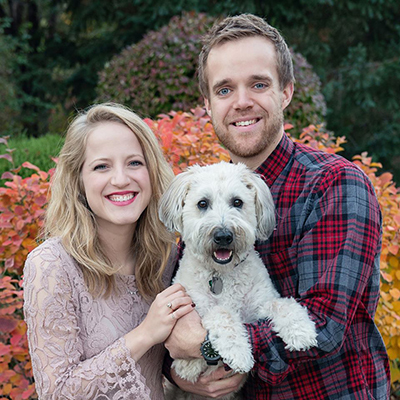 Together they love to travel, read, cheer for the Huskers, and play with their dog, Senna (a wheaten terrier). You may see Kali helping out around the office from time to time, as they both love meeting and serving our patients. Can you guess their dog, Senna's breed?